Is your mouthwash raising your blood pressure? I know, it sounds crazy, doesn't it? But, crazy as it sounds, there is a definite possibility that some people will have to choose between having sweet smelling breath and having high blood pressure. It all has to do with the bacteria in your mouth. Americans live in an unfriendly world for bacteria. Most people are afraid of bacteria. We see this all the time at the gym, in grocery stores, in shops, and almost everywhere else. People are constantly wiping their hands with antibacterial solutions with the hopes that they are protecting themselves against infections. Actually nothing could be further from the truth. A continuous exposure to bacteria is what activates our immune systems against bacterial infections. And all these antiseptic measures do is make us more vulnerable to infections. But now a new study is showing yet another problem with the routine use of antibacterial solutions. This time it's with antibacterial mouthwash. You might not fully appreciate this, but your mouth and your entire gut is a sewer. Sorry to state it like that, but it's true. If you want to have a severe infection, just take some of the bacteria from your mouth or gut and put them into a wound. In a few days, you will have a very serious problem. But does that mean these bacteria are bad? Not at all. Bad in wounds, yes. But in your mouth and intestines, these bacteria are essential to your health. So essential that if you didn't have them, you wouldn't be able to survive very long. In fact, the bacteria in your mouth are beneficial for your cardiovascular system. Here's how it works — and why antibacterial mouthwash can raise your blood pressure. 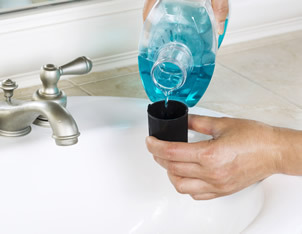 As the name indicates, antibacterial mouthwash kills the bacteria in your mouth. But this bacteria isn't all bad. In fact, you need this bacteria to create something called nitric oxide (NO). I've told you about NO before. NO is a free radical that is produced by all cells and is important for cellular function. In particular, NO plays a critical role in regulating circulation, blood pressure, sexual function, nerve transmission, and immune function. Certain people, particularly diabetics, don't make enough NO. That puts them at serious risk for heart attacks, strokes, kidney disease, blindness, and gangrene. In this study, researchers wanted to know if killing off the bacteria would affect your body's ability to produce NO. If it does, then you could be in serious trouble. Not only would it raise your blood pressure, but it also could adversely affect many parts of your health. This study is pretty detailed. So I'm going to tell you all about it in next week's alert. But for the time being, it's a good idea to stop using antibacterial mouthwash, especially if you have high blood pressure or any chronic health problems. 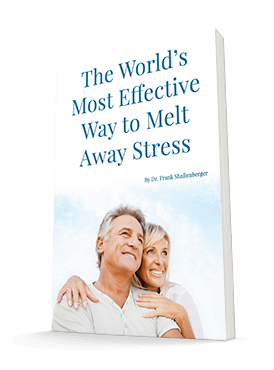 And I'll show you what you can do to lower your blood pressure and solve many of these health issues.